Since this is the first time, we are meeting this year on the blog, let me wish you all a very happy and inspiring new year ahead!!! It has been very long, since I published a new post. I may have reasons but I blame the lazy me! Now that I am here writing, it has to be in one of my favorite categories, “The Other You“, which celebrates people with passion, balance and commitment. And that is the mantra for this year!!! Today, I am very excited to write about a friend I met on Instagram just about a year ago! Her Instagram feed instantly caught my attention. It is said that “Art speaks where words are unable to explain”. Her pictures explain the beauty and emotions of life and humanity! The intricacy in her art reveals the bold and beautiful heart behind it. 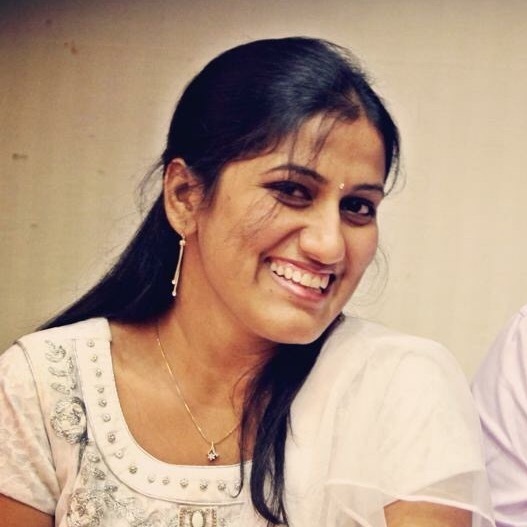 Meet, a mom of two, a software engineer, a self made artist and a cooking enthusiast, Rashmi Lingappa. Where are you from and when did you move to the US? Originally from India but been in the US for almost 16 years. Life has been great with its fair share of challenges in the first few years but after spending a good fraction of my adult life here – its home now. Can you tell me about your profession? Are you enjoying it? I am a software engineer by profession. Back in the day when I was choosing a career I did not believe that art/painting could be a career so I decided to let it be a hobby. I graduated as an engineer in Computer Science. But now I feel that programming does have a creative side to it – so I totally enjoy it. Since when have you been into art? When I was in school I was into art and participated in drawing competitions and won few of them too. Then college, job, marriage and kids came in the way and I dint even think of it, rather did not make time for it. As I neared 40, I wished to do something for myself. During that time, I attended a Madhubani workshop and that is when I decided on getting back to my art. After 20 years, I finally picked up my pens and started to draw and made a decision to never put them down. Now spending time with art is relaxing , therapeutic and gives me self satisfaction. What exactly do we call the art you are into? Can you tell me about it. My art is inspired by many different art forms. I am technically a self-taught artist which makes me untrained in all of them 🙂 My art work is predominantly inspired by all the pattern oriented art forms like Zentangle, Madhubani, Kalamkari, Mehndi/Henna patterns , Mandalas, Doodle art etc . I am definitely more into pen-art. As much as I would love to get my paints or water colors out – it does not suit my life style now. I feel that I can do pen art with a lot more ease and without any particular set up or prep work. These days I am lot into decorating cakes which is just another dimension of my interest in art. Early 2015 when I got back to art, I decided I wanted to put it up for the world to see. I did not want to impose it on my friends and relatives on Facebook, so I started an Instagram account. It took me few months to even understand how to use it but later I made few friends on Instagram and slowly got myself noticed. There are many art featuring pages on Insta that featured my work which got me most of my followers. Indians from India and Indians from all over form a good portion of my followers since my art centers a lot around Hinduism and Indian culture, though not limited to just that. My art is based on events and happenings of the day. When did you start the Etsy shop? You have a busy day job and usual household chores. How do you find time to balance between your work, responsibilities and passion. Yes life is hectic and sometimes a bit too much, but art is not work or a task for me. It is my passion. Its like yoga to the mind and something I do for myself. I like to spend an hour or two everyday at the end of the day with art. Lastly, what do you have to say to the readers of this blog? Do what you love and love what you do – be it in art or anything else in life. Rashmi’s simple changes in her life once again prove that it is better late than never. Even after a gap of 20 years it is her perseverance and self love that re- united her with art. While, family and profession play a vital role in our lives, it is the passion and keeping it up that improves the quality of life. Last but not the least, Rashmi’s story emphasizes on making time for things we love! I wish Rashmi, a colorful future ahead!! Follow Rashmi’s instagram page to discover her art and the heart behind it! Be inspired everyday! Photo courtesy: Rashmi’s Facebook page.